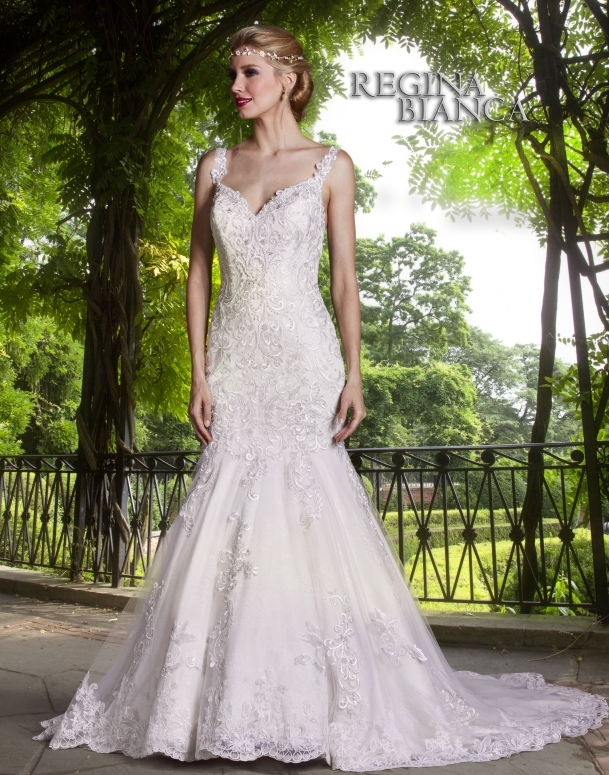 This glamorous sheath wedding gown has tank straps and an open V neckline accented with beads, sequins and crystals. The entire silhouette is made of embroidered lace on net over satin. There is a trumpet skirt and a low back with sheer lace and covered buttons over the zipper and a chapel train.